Additionally, the Dutch capital is a city where you don’t have to spend a lot of money to have a great time, as there are wonderful things to do throughout the city. Simply strolling through its canal-lined streets and seeing what unfolds will afford you endless opportunity to find free and cheap things to do. 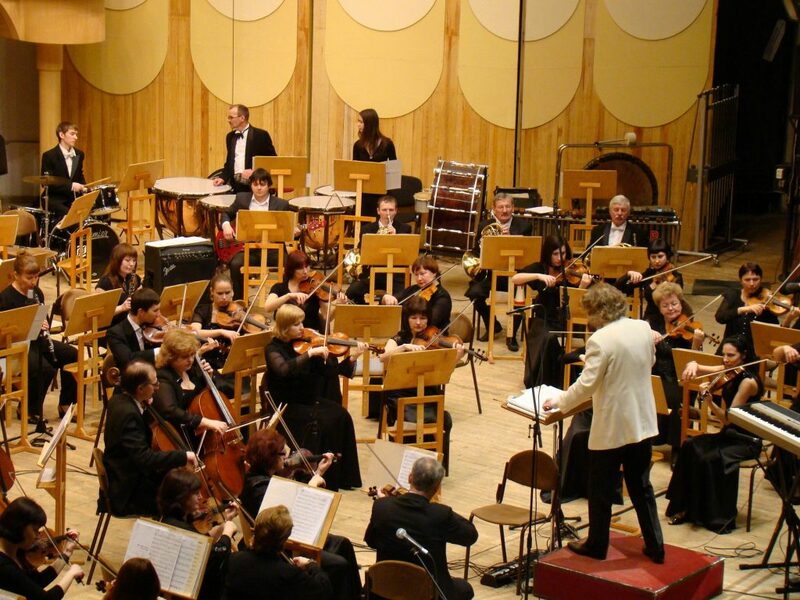 It’s with that in mind that we want to discover what the really great things are to do in Amsterdam that won’t bust your budget, and in fact serve as great free entertainment no matter where you stay in Amsterdam. In a city of vibrance, flowers, still waters, and thought-provoking history, here are five free things to do in Amsterdam. Amsterdam is unique in that one of the most popular things to do in the city is also 100% free – walking the Canal Belt. Part of the city’s youth is given the fact that it was, in fact, reclaimed from the sea. As the northern Dutch border was dammed to help build an influential port city, beginning in the 13th century and accelerating in earnest in the 16th century, a massive canal system was simultaneously build to help steer the surrounding sea water to assist in defense and water management in a city that was rapidly growing. Today, the canal system consists of four primary canals that stretch out from Amsterdam’s city center in concentric circles. It’s upon these canals that the city thrives, with restaurants, shops, markets of various types, and businesses possess line by line and street by street. It’s what gives Amsterdam its unique layout, and immediately visible appearance. In many ways, the canal belt is Amsterdam. Strolling the strips alongside the canal belt is peaceful, somewhat feeling as though one is walking through a fairytale city with statuesque locals rolling by on bicycles. 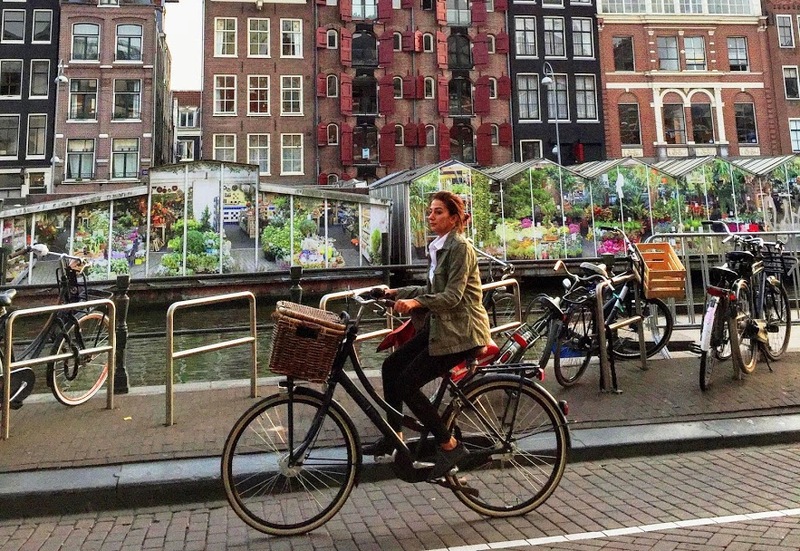 It’s free, it’s fun, and it’s the first thing you should do when you arrive in Amsterdam – strolling the Canal Belt. The construction of Amsterdam and reclamation of the city from the sea has an obvious effect in that the soil is remarkably rich, moist, and fertile. It’s because of this that Amsterdam is more well-known for its flowers than it is its coffeeshops, and the Bloemenmarkt is one of the most iconic locations in the city to display Holland’s favorite export. Founded in 1862, this floating flower market along in the Singel canal (the most well-known in Amsterdam, and central to the canal structure), is one of the purest, most charming locations in the city. It’s a center of growth and exports of dried tulip bulbs, and tulip related products that makes Amsterdam central to tulip production in Europe. Simply walking around at the Bloemenmarkt on a beautiful Amsterdam day is one of the most enjoyable free things you can do in Amsterdam. Construction began on this Amsterdam concert hall in 1883, and since that time it’s been the location of regular theatrical and musical performances in the city. Today, Concertgebouw is a major cultural artifact in Amsterdam, and offers weekly free concerts that are open to the public, and one of the most engaging free things to do in the city. The acoustics are stunning, making it one of the most desired locations for composers and musicians to write and perform for more than 100 years, and the city’s attempts to bring free culture and art to its citizens (and tourists) is one of the things that makes you realize that Amsterdam is truly different. The list of legendary composers is long for those who have inspired performances here – names that are etched on the wall inside Concertgebouw – including Mendelssohn, Tchaikovsky, Mozart, Mahler, Dvorak, and Bach. It’s a true music lover’s bucket list venue to attend, and you can experience it free in Amsterdam! Vondelpark is another location in Amsterdam that’s iconic for its history and beauty – a theme that continues throughout the city. This large public park, which is free and open to the public 7 days per week, is a natural oasis in the middle of a city that is immensely popular. 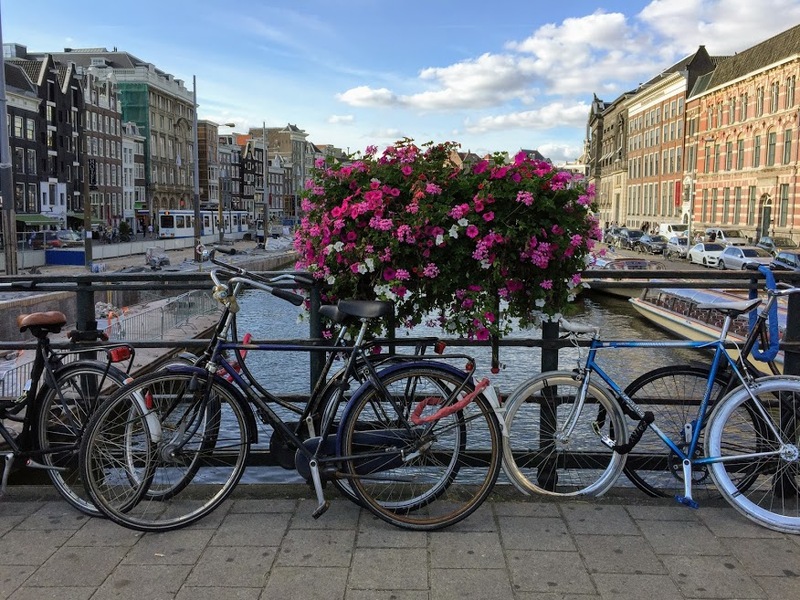 You’ll be greeted by ponds, a vast array of animals (both wild and kept), beautiful blooming flowers, and one of the most visited natural areas in Amsterdam. 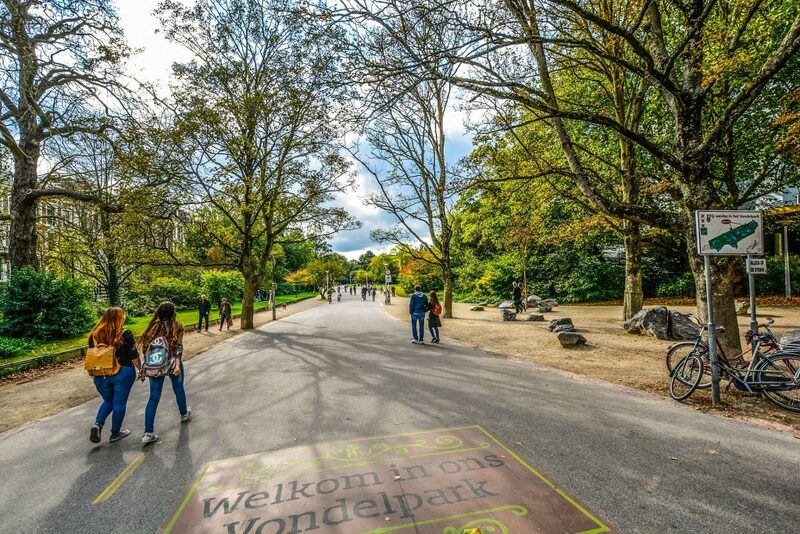 Opened in 1865, Vondelpark is often used as an open-air theatre for free concerts and events in Amsterdam, so make sure to check the schedule of events in the park when you arrive in Amsterdam for more specific free events that might be available during your stay! 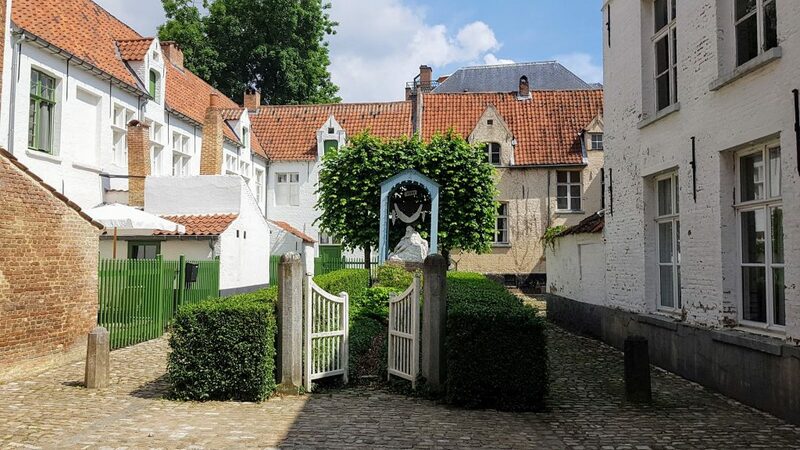 Begjinhojf is what’s called in Dutch a hofjes – or, a central courtyard surrounded by almshouses that were common in parts of Europe between the 13th and 17th centuries. Begihnhojf is one of the best maintained of these hofjes, founded allegedly in 1346. Today, you can tour the house and grounds absolutely free, and experience a true bedrock of early Amsterdam society and life. It’s one of the oldest remaining original buildings in the city, and visiting it is truly like a step back in time. 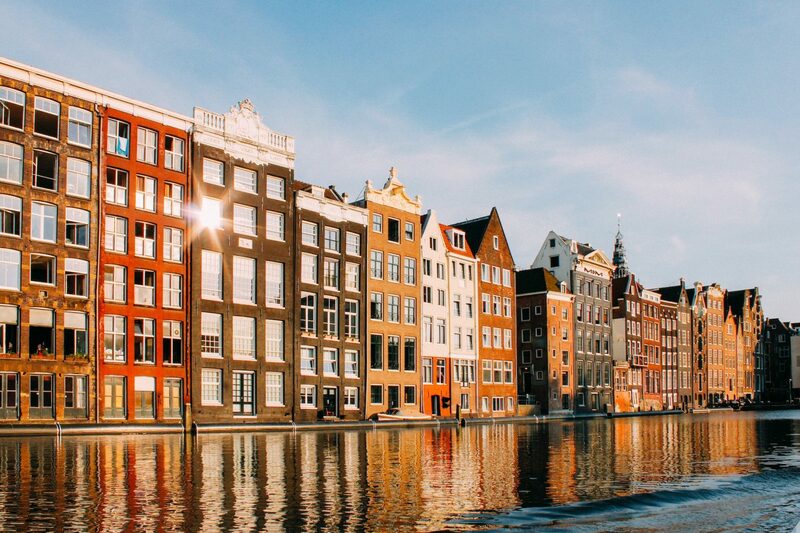 The true list of things to do in Amsterdam is endless- with famous museums like the Van Gogh and Rijksmuseum, attractions like the Anne Frank House, and seemingly endless rows of canals, shops, entertainment, bars, and clubs. Yet, you don’t have to spend a fortune to have a great time in Amsterdam considering the wealth of free attractions that are available in the city. So, if you’re headed to Amsterdam and looking for a great list of things to do that will be easy on your wallet and worth seeing, start with this list of free things to do in Amsterdam and let your desire to explore this wonderful city grow from there! Featured photo by Cale Weaver.